Right now you could ask me what posts i’m going to be uploading in the last week of December and i would be able to tell you, but i haven’t always been like this; i used to be a serial photographer,writer and uploading on the same day-er. I wanted to share with my fellow bloggers a few of the things i do to stay on top of things as a blogger, i’m by no means the most organised out there, these are just methods that work for me that might work for you if you’re looking to get organised! When i begin planning blog posts i create a spider diagram of initial ideas. From the spider diagram i made a list of title name drafts. I then draw out a calendar for the month and in the example below each week is colour coded as we get closer to christmas. From then i start to fill in my post titles into each date they will be uploaded, this helps because i can clearly see posting days and the spaces in between uploads. The second notebook is a page to a day diary, so each day in the week has a whole page dedicated to it. In this notebook i fill in when i’ll be uploading a post and when i’ll be writing/photographing others. I use this basically as a to do list for each day so things like uploading a post, writing another and photographing things are all written and ticked off as i go. Although i do pre plan ideas i always make sure i make a note of ideas on my phone if one comes to mind randomly, also even if you do set aside a time to write your posts but feel inspiration to write at another time then do it! Don’t feel restricted to time schedules, often i find myself writing blog posts before I’ve planned to because i feel the inspiration to do so and thats when they turn out best. I pre plan everything, that way if something comes up and i don’t have the time to write the post i was supposed to, it means i won’t fall behind and i can fit it in at another time. Also having the ideas all written in my notebook means i don’t really run out of ideas, because i work in advance if i can’t think of an idea while I’m planning i’ve got enough time to think of ideas during the following weeks. I noticed a huge change in traffic once i started promoting my posts on twitter but its hard to remember to actually tweet your links if you’re doing it manually, i schedule my tweets so everything is done automatically. I use the “buffer” app to schedule tweets promoting this week and last weeks posts, usually i schedule 6 tweets a day and tag in blogger retweet accounts in the hope my post will reach a larger audience. With buffer i don’t really schedule tweets in advance, usually i do it in the evening because its a quick process of picking the tweet you’ve previously sent from the app and hitting “rebuffer”. This is really helpful if you’re going away for a few days but don’t want your traffic to die, especially if you’re actually posting in that time but don’t get the chance to tell anyone about your posts on social media. I also use the app “Later” this is also a scheduling app but i use it because it allows you to see how a picture will look when in your instagram feed; i find this so helpful because sometimes you might not realise a photo has different lighting to your other posts until you see them along side each other. This stops me uploading something and then realising it doesn’t look right on my feed. As a fellow organised blogger, this was really interesting to read. Thanks for sharing this, Im going to try out doing a spider diagram too. 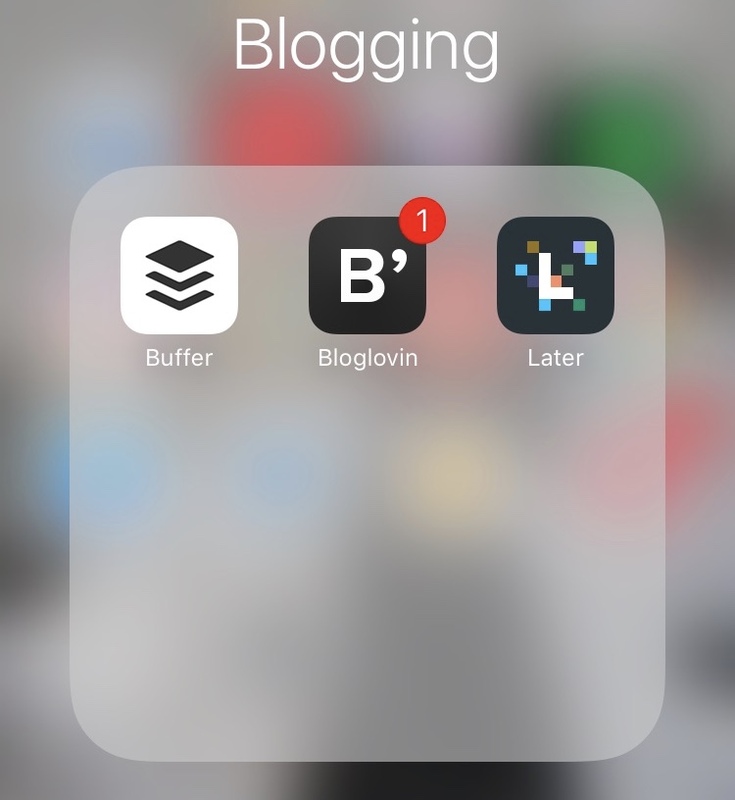 How I hadn't heard of Buffer I do not know – what a life saver, such a good post! Thanks for the tips – really appreciate this post! Thank you so much for sharing all these tips, very helpful indeed. Definitely had a hard time trying to stay organized with blogging, but your post inspired me!! as a new blogger this is such a good read for me, so thank you Maria! Aw thank you, that's so kind of you! Wow! You are so organised. I tend to be more spontaneous when creating posts. I just go with whatever pops into my head at the current time. Loved this post, it has definitely inspired me to be more organized on my blog going to try some of this tips. love your blog, it is one of my favs. Just downloaded buffer! Hopefully this will keep me more organised! Thank you!